Here are three strategies that can greatly reduce the environmental impact of flash purifications. Standard flash purification columns are chosen on the basis of the mass of silica they contain and the amount of material to be loaded onto the columns, with flow rates chosen based on backpressure generated from the silica columns. This new and simpler approach means trying to do more with less, i.e. purifying more of your crude reaction product with less silica, which in the case of flash chromatography typically means using a smaller column. Put another way, if you can purify the same amount of sample on a smaller column, that would mean using lower flow rates and less solvent, and finishing the job quicker. This will make your process greener, and also more efficient. What are the challenges in this approach? Using small columns means less silica is available for the separation, so in order to achieve comparable results you will need well-packed columns with a high enough surface area to accept the high sample load. Designing such a column is not trivial, but new spherical column media have been developed that have higher surface area (up to 40%) than older style media. Increased surface area of the columns enables higher loading on a column of the same dimensions. As a result it is possible to perform the same separation using columns of approximately half the size. Another way of reducing the environmental impact of your chromatographic purifications is to make the chemistry work for you. Making the chemistry work for you relies on a good understanding of chromatographic approaches and of method development in purification – something that may not be immediately at the fingertips of synthesis chemists. This strategy may involve having to re-visit the way you perform your purifications based on first principles. 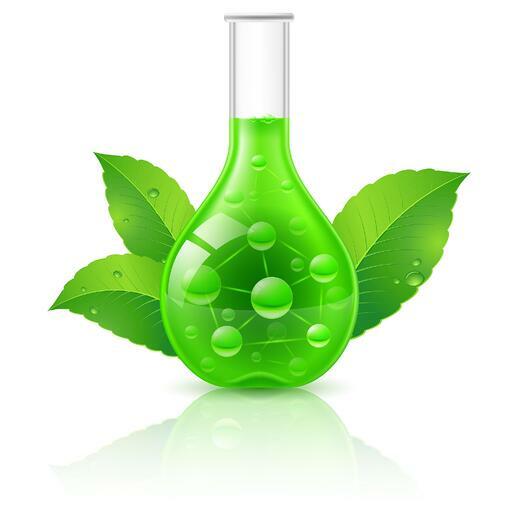 For example, it is often possible to replace some of the solvents that are common in flash purification with other green solvents that have less impact on the environment. Acetone can be used as a polar solvent. This is not a solvent that is commonly used in chromatography, but one that has significantly reduced toxicity and disposal cost compared to more common alternatives. The reason why acetone is not often used in chromatography is its strong UV absorbance above 250 nm that can mask compound detection and make UV-triggered peak fractionation a challenge, especially for aromatic compounds. However, with some state-of-the art flash systems, mobile phase UV absorption is zeroed in real time, thus enabling the use of UV absorbing solvents such as acetone. Even if you have changed the solvents you use for your purifications to the most environmentally conscious alternatives, there is still more that may be done with the chromatography method development. Most flash purifications are designed to separate a single species of interest from a complex reaction mixture. A key feature of this work is that the other components of the mixture are not of interest. In such a situation, the binary linear gradient typically seen in most forms of liquid chromatography can be replaced by a step gradient. The advantage of a step gradient is that the actual separation will be quicker and therefore use less solvent. This is because you do not need to wait for the solvent composition to gradually change from one state to another, but instead jump between the conditions needed to elute different components. This is not a good idea in an analytical separation where all components must be resolved, but makes sense when the aim of the purification is to isolate one component from the rest. The difficulty in adopting step gradients is that they are hard to optimize compared to linear gradients and require a good understanding of chromatographic theory. As such, step gradients have usually been seen as the tools of a chromatographic expert. Flash systems today have algorithms that enable step gradients to be created from scratch based on results from multiple thin layer chromatography experiments, or from existing linear gradients and separation results. Now we have an insight into three of the most common strategies to making chromatographic purification ‘greener’. In the final article in this series we will look at what is needed in a complete purification solution to make the best of these approaches.